NASA Response to 9/19/17 MVS Analysis with MVS comments imbedded (this is only a portion from a larger presentation by R. Kellogg, Aerospace Corp., which is posted at the URL above). NASA says that in the May presentation to the panel by Jim Green, R&A was defined as competed research and technology programs. 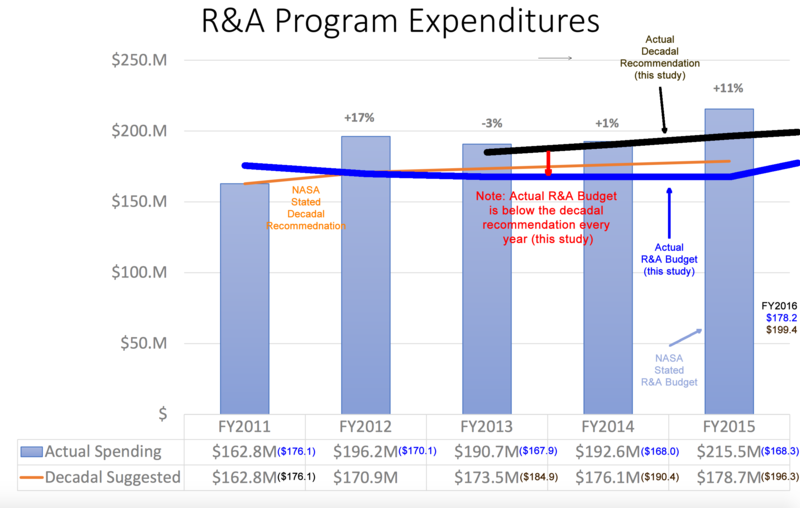 In the above presentation, R&A now seems to be all programs falling within a NASA planetary budget line that has the word "Research" in the title. 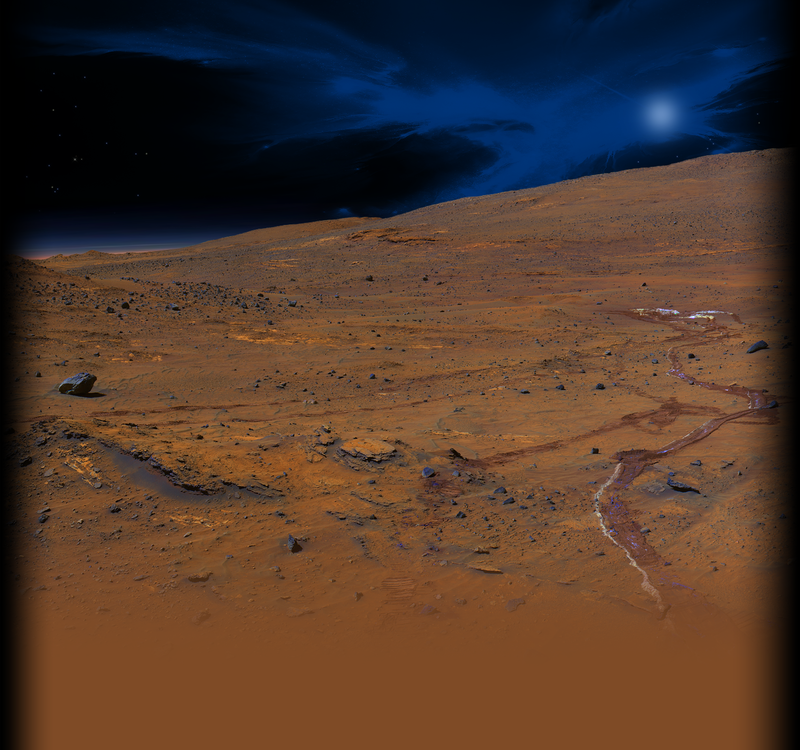 This would include Science Enabling Research Activities at NASA Centers, Outer Planets Flagship Funding, LPI Support, and much more). Both NASA definitions are at significant variance with how R&A is defined in the decadal survey (page S-14). Conclusion: The decadal recommendation has not been met and that the R&A programs was underfunded by $92.4M from FY13 through FY16.